If you are interested in home entertainment, you would have the thoughts of streaming DVD movies to HDTV sharing with family members and friends. While basically you may have difficulty realizing this goal because usually DVD movies are copy-protected, you cannot play them on any other unauthorized devices; plus, DVD movies are MPEG-2 encoded videos in .vob format, which is not a native streaming media format. To make the whole process of streaming DVD to HDTV work, you need the help of DLNA which allows you to stream media content between devices connected to the same home network, without having to store the content on both devices. 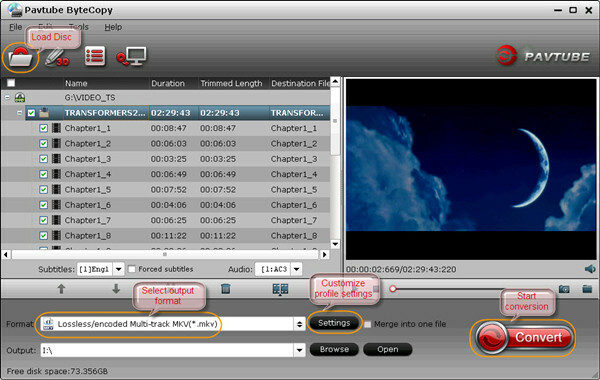 Meanwhile, you also need certain tool to convert your DVD movies to HDTV compatible video format. 2. Choose “Lossless/encoded Multi-track MKV” for output. NOTE: In profile settings, you are allowed to choose your desired audio or subtitle track(s) saved and leave out unwanted ones. 3. Start conversion and after 30 minutes, you would find a copied MKV file located in your output path. Pavtube ByteCopy backs up DVD Disc to MKV with all audio streams, subtitle tracks and chapter info saved and this process helps users get rid of disc copy-protection so you can use the copied MKV file for next step. 1. Install Pavtube Video Converter free trial, launch and load copied DVD MKV movie into this application. 2. 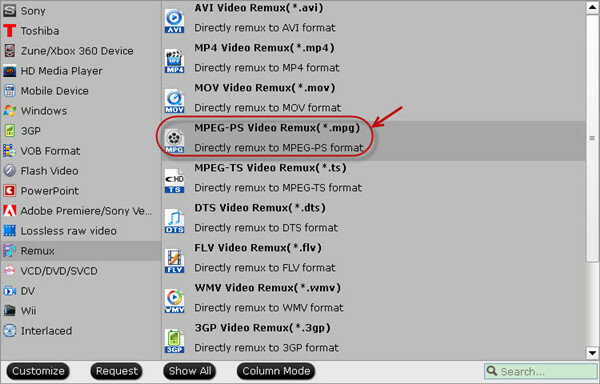 Follow the path “Remux > MPEG-PS Video Remux(*.mpg)” to rewrap DVD MKV to MPEG format with multiple audio and subtitle tracks preserved. 3. Click “Convert” button to start MKV to MPG rewrap process. 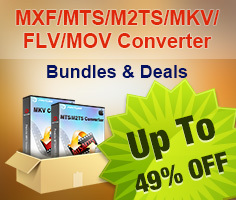 Pavtube Video Converter helps you to remux DVD MKV to MPG format which DLNA compliant HDTV supports, and this remixing process would not change anything except video format. To make it successful to stream your DVD movies to DLNA compliant HDTV, you need install Windows Media Player on your PC/Mac first. And refer to this guide to start streaming your DVD movies to DLNA compliant HDTV without trouble.